One Agile practice that many people have used is the daily stand-up meeting. In this meeting participants of the meeting, which are the team members, answer the following three questions: what have I completed since yesterday, what do I plan to complete today, and lastly what are the barriers or impediments that are getting in my way in completing the work I have to do today. This truly is a stand-up meeting, where all participants of the meeting are standing and the meeting is time box which means that it must end at the time allocated to (which is generally 15 minutes). What this does is it forces people to prioritize what they talked about and make sure they’re efficient with the use of time. If you decide to have a daily stand-up meeting and let it run over 15 minutes you’re not actually doing the practice of a daily stand-up meeting, as it is a time box event. What you will likely find is in the first few daily stand up meetings, not everybody will have an opportunity to speak; however after a few meetings everyone will figure out how to be succinct, so that everyone gets an opportunity to speak. It’s important for the Project Manager (PM), team lead or facilitator in a traditional project, to allow the team to work through this, as it is a part of the process of team development. It is important for the PM to take the lead in this meeting. They should provide meeting support, but only to remind team members to focus on the three questions they need to answer and remind them if they’re getting off-topic with doing so. 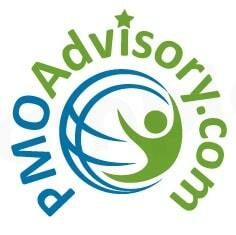 The purpose of this meeting is for the team to provide status to the team not to report to the project manager. Of course it is valuable for the project manager to attend this meeting as a team facilitator however their role will be more from a listening and enforcing process and it will be in leading the team. 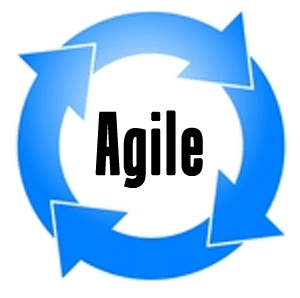 Other Agile practices that team have found to be valuable to incorporate for traditional projects include: information radiators, war rooms (collocation of the team), team retrospectives, burndown charts, relative sizing or estimating, and others. What is nice about incorporating Agile practices while doing traditional project management is that you may receive some benefit from using these practices while your organization may not be ready for an Agile project management approach. As a PM, you probably have some authority as to how your development team works and are able to use some of these tools even without agreement from Senior Management, or your customer. Another example of implementing Agile practices that I have is using a Kanban board, or task board for a project, to work through tasks with my team members. The project sponsor didn’t realize we were using an Agile method, and neither did my team members. Using the Kanban board was very effective, because our team had multiple task that changed every week. It was an easier way to manage the task make sure that all of them were getting completed in a prioritized order, and we were able to track who was working on which tasks. As designed, it minimized the work-in-process and allowed us to complete all of the work not knowing necessarily how long each task would take, but realizing that once we were are completed with that task, we could look at the board and take the next prioritized task and complete it. In this example, had I told my customer and my team members that we were going to be using the Agile practice they most likely would have been concerned upset not an agreement to it however they were happy to use the task for it and thought it was a great way to organize tasks, accomplish the work to be done, and report on the status of tasks to be completed. I realize this may be a bit odd; however unfortunately this is how people are about change, the often gets scared when they hear something like Agile project management, if they don’t know anything about. By incorporating Agile practices into traditional project management, you can both reap the benefit of these practices and also in the meantime educate your team and customer on Agile practices, so they are more comfortable with using them. – Susan Parente, PMP, PMI-RMP, PMI-ACP, PSM I, CSM, CSPO, CISSP, CRISC, RESILIA, ITIL, MS Eng. Mgmt.